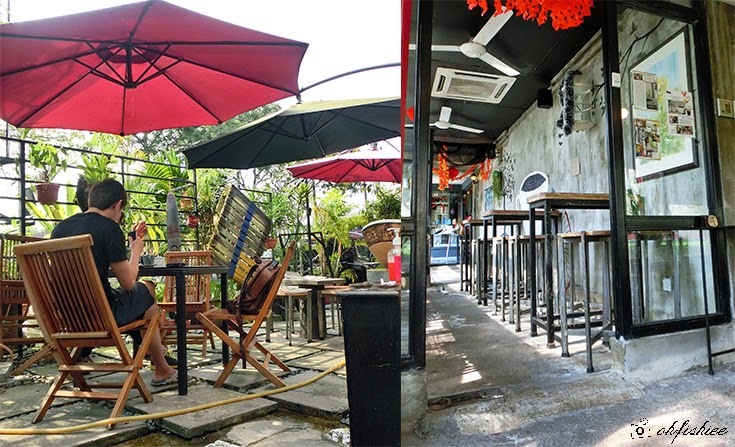 Tucked along the busy street of Jalan Gasing, it is surprisingly to find a cozy little cafe located right next to La Salle school. It may not be noticeable from the main road, but you'll see a staff standing by the gate to guide your car into the small parking area. Also, the cafe halved its area with Chezz Technique Hair Salon, so do expect the seating to be more limited. The menu is pretty simple, ranging from assorted pastries on display to salad, sandwiches and pasta prepared ala minute. Served on a bed of fresh greens in house sesame dressing, the smoked duck is quite lean and not gristly at all. Considering the price, I'd say its taste and portion are acceptable. 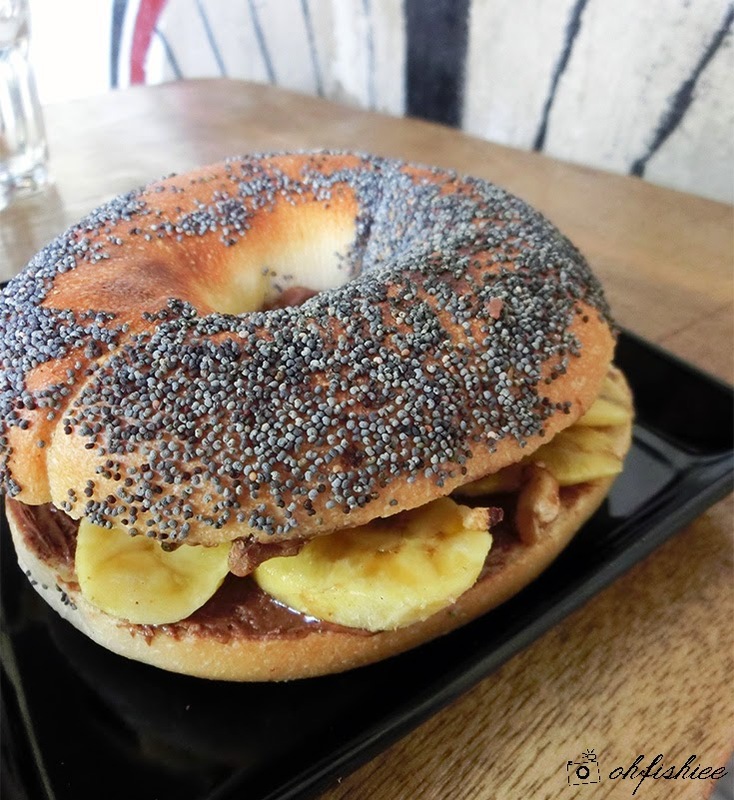 The bestselling item on the menu is the varieties of bagel sandwiches, be it savoury or sweet. 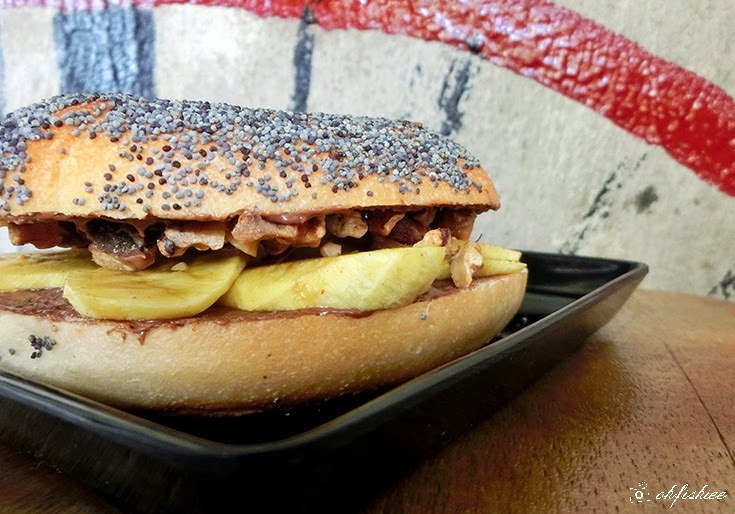 If you're craving for something sweet and meatless, the nutella banana is highly recommended. Generously topped with poppy seeds, homemade bagels here have nice crispy exterior and chewy interior, just like how we usually enjoy it. But be sure to have it warm as soon as it is served, otherwise it will get tougher. 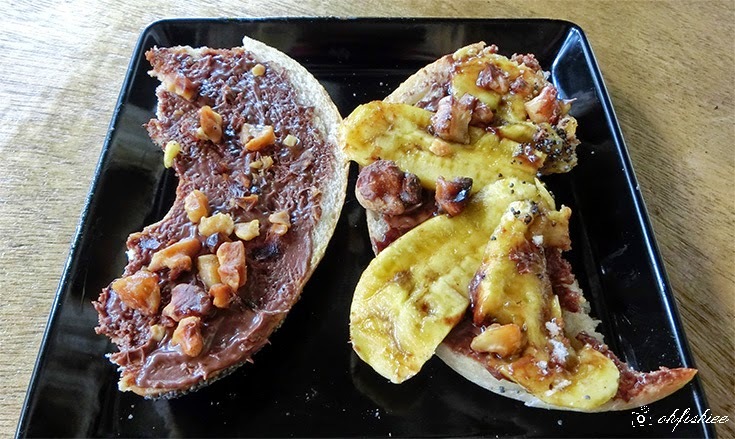 The simple combination of nutella jam, banana slices and pecan is great as a quick snack that goes along with your cuppa. Dessert wise, we see a few types of mouth-watering French tarts at the counter, each is pegged at a pleasantly reasonable price of RM7.90. 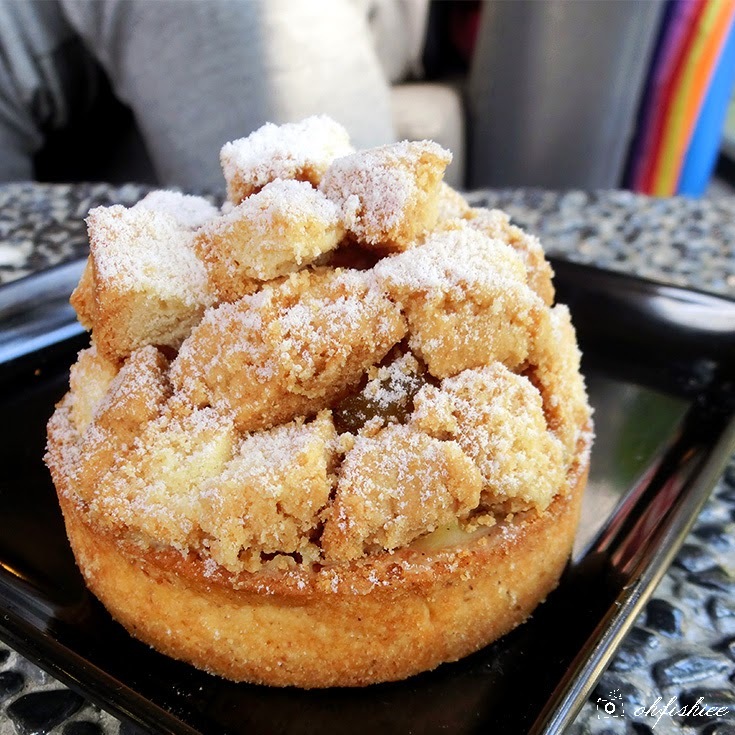 The barista recommends us the bestselling apple crumble tart which is lightly sweet and buttery. The crumb topping gives this apple tart a delightfully sweet crunch in every bite. 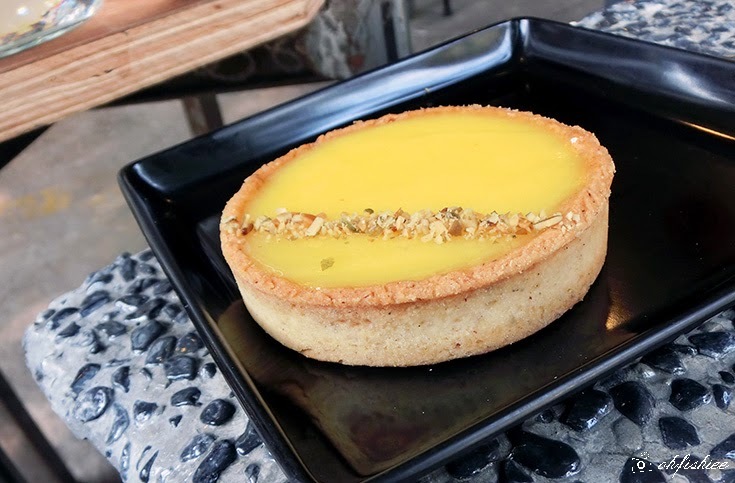 For a refreshing citrus taste, do opt for the simple lemon tart that is filled with creamy smooth lemon custard. The buttery-rich shortbread crust and crunchy bits of nut add a beautiful savoury flavour to it. I don't mind spending my whole afternoon here sipping on a cup of coffee while enjoying sunkisses from the natural light penetrating through the glass windows. 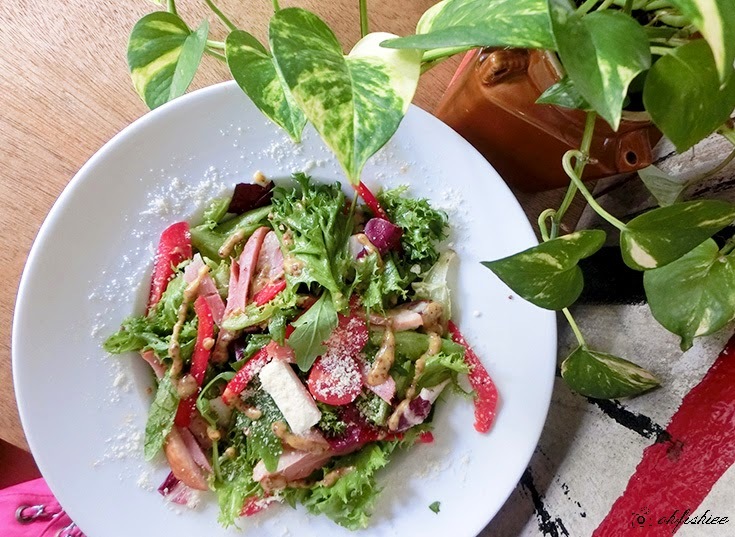 When the weather is good, it elevates the ambiance in the cafe, creating a suitable spot for Instagram-worthy shots. 1. Food wise, I love the desserts whereas the rest are just mediocre. 2. A good place to enjoy your daily caffeine dose with tranquil, calming atmosphere.